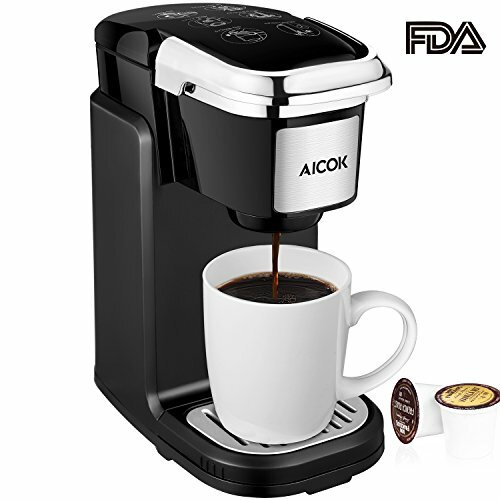 Among all coffeemakers available on the market, Aicok coffeemakers always provide you with a fresh and delicious cup of coffee, no matter when you need it. It is lightweight and can be carried along with you on your travels too. 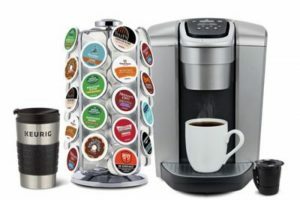 The K-Cup design allows for different sized cup servings as per your needs. The serving time is also quite short and can give you your cup of coffee in under 4 minutes. The drip tray is removable and allows for bigger cups and travelling mugs. 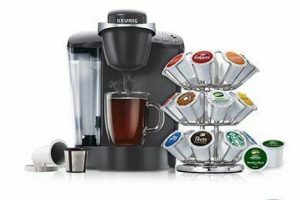 There is a water reservoir with a 12-ounce capacity which allows you to make several cups before having to go for a refill. It is quite easy to use with a simple working process. The water tank is made from BPA free material, and ETL, UL certification for a coffee brewer gives you a 100% guarantee of safety. The product comes with a 2-year manufacturer’s warranty. It has a net weight of 2.42 lbs. The reservoir capacity is 15 oz. It has a water boiling time of 1 minute for 3.5 oz. and 2 minutes for 12.7 oz. The cycle time is long, and the base is on the small side, which makes it difficult to safely support coffee mugs. With different products available on the market, it is important to make the right choice. As a consumer, your choice should be decided by the product that best serves your requirements. You must take into consideration each option and brand available on the market before making your choice. 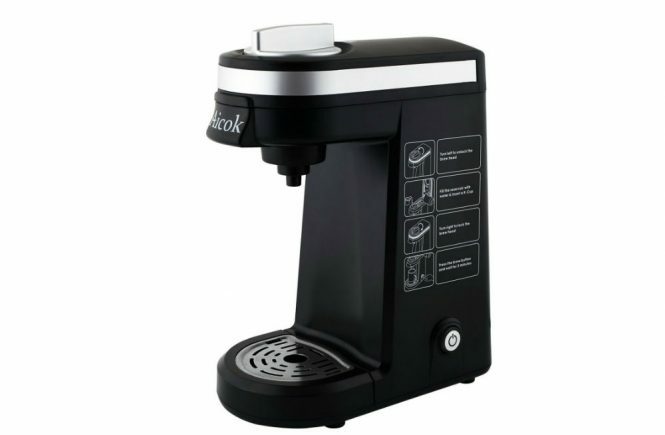 The Aicok Coffeemaker can be compared to the Hamilton Single Serve Scoop Coffeemaker. 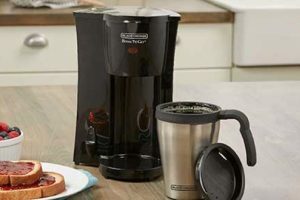 While the Aicok coffeemaker is made of plastic, the material used in the manufacture of the Hamilton coffeemaker is stainless steel. 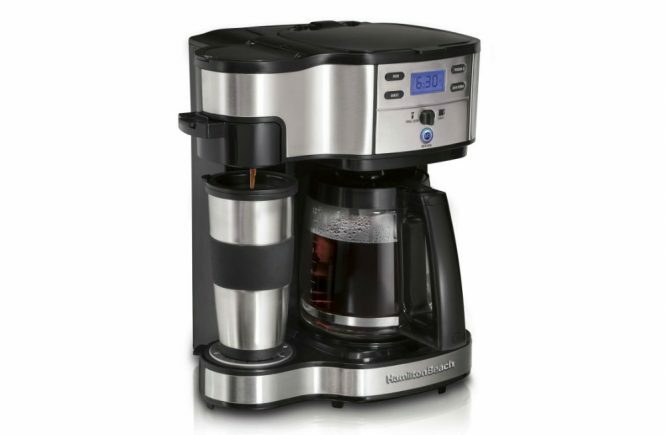 The Hamilton coffeemaker is also bigger in size with dimensions of 7.6” x 9.8” x 13.5”. The Aicok is smaller in size with dimensions of 4.92” x 8.86” x 10”. The Hamilton is also heavier with a weight of 5.5 lbs. over the Aicok’s 2.42 lbs. The product is well designed and is lightweight and easy to carry around for travel. It takes up less space due to its compact design. Most mug sizes within the specified range are supported by it. 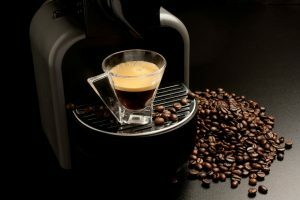 The electrical cord that comes with the product is much longer than that of the other coffeemakers available on the market. The instructions are very clearly printed on the side of the coffeemaker. 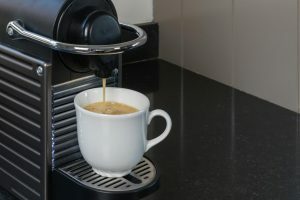 It is very easy to use and has a very short brewing time of about 3 minutes. You can fill the water by the cup so that no extra water is left remaining inside the machine. Removing the drip tray will give you more clearance to fit a bigger sized mug. 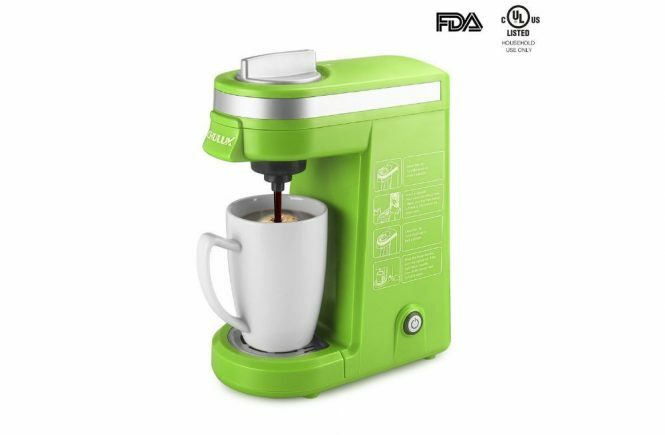 This coffeemaker is not as quick as a Keurig, as it heats up water for each cup. However, it works well. The volume of water that you put in the reservoir is the amount it heats up, the maximum capacity being 15 ounces. The more the water, the more time that is needed to heat up; 15 oz. should take around 3 minutes. 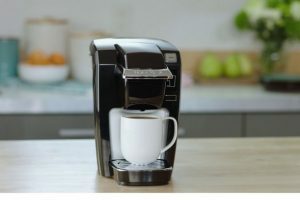 The Aicok Single Serve Coffeemaker also automatically turns off by itself when the brewing is complete.